I didn't want to disturb the training room and first of all the trainer didn't have a good impression on me from the day I joined. It is 3 years now I met him only twice but he doesn't like me, I don't know for what reason, but he gets irritated. So I was scared to ask him the permission to go out. 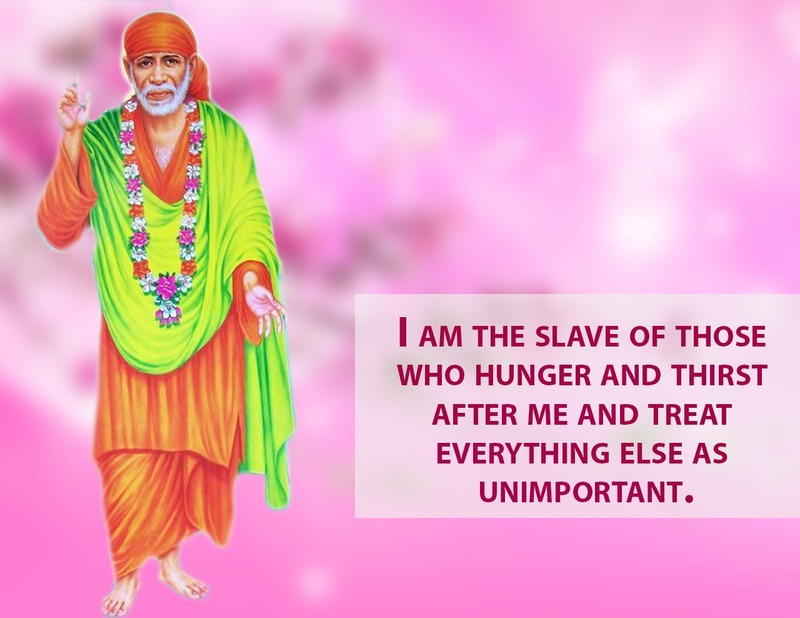 Then I prayed to my Sai "Sai please help me from this pain, it is unbearable and I don't want to disturb them, please Baba please help me, now You are only the One Who can save me. I don't have Udi with me to take it now, please Baba please stop this pain at least till we get out from this training room". After I said this within 5 minutes the pain stopped suddenly and I could move easily, I could breathe, stopped sweating, everything looked good and I could concentrate on the training. After two and a half hours we came out from the training room and we went near to our workplace. As I was entering inside the floor then again the stomach pain was back and I had a big vomiting after which I got relief completely. My Sai Baba came to my rescue. He took the pain from me so that I couldn’t be blamed by anyone. I had tears in my eyes, no words to explain my Sai. My Sai will love everyone without any differences even if the person is good or bad, off course as my Sai said “ each person will have good and bad we should see good in everyone and ignore the bad. One call to our Sai Maa and He comes for our rescue, do you think we Sai children ever need to worry about our lives, when our Maa’s grace and blessing hands are on us? We pray to You Sai Maa for only Your loving glances on us Your children. Blessed to be Your children and would be ever indebted to You, love You Baba. Jai Jai Ho Sai.